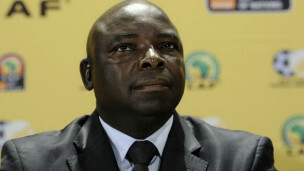 Kirsten Nematandani, Dennis Mumble and three others were suspended from their posts until immediately following the fourth investigation into the alleged involvement in the regulation four games ahead of the 2010 World Cup. Fifa investigation found that brokers match Safa infiltrated by Wilson Perumal Singapore Football 4U hers and organizations. Perumal set the referee in the match against Thailand, Bulgaria, Colombia and Guetamala. The match result is known is set to benefit a betting syndicate Asia. Safa vice-president Mwelo Nonkonyana who has been asked to act as an officer while replacing Nematandani said, “This is a difficult situation for the association and for those whose names are mentioned in the report. South Africa’s 5-0 victory over Guetamala and 2-1 over Colombia in May 2010, two weeks before the World Cup starts has long been suspected. Nigerian referee Ibrahim Chaibou gave three penalties for handball in the match with Guetamala and Fifa has tried to interrogate him for more than a year for his handling of a number of matches. The third goal in a match against Colombia, which is overseen by a Kenyan official, came from a penalty kick.